Lifeline in troublesome times is needful for one to have a peace of mind towards what one may be facing. We live in difficult times with turmoil that could readily make one fearful. Scripture tells of a time when there will be distress of nations, with perplexity; men's hearts failing them for fear, and for looking after those things which are coming on the earth (Luke 22:25-26). My people have become complacent and are drifting along with the tide of this world and they are being drawn further away from me. They have not firmly set their anchor in Me, their solid Rock, and they have not attached themselves to Me; the lifeline I have thrown to them. If they do not set their lifeline they will soon perish in the sea of life, that surrounds them, because they are drifting far from Me instead of closer to Me. It is indeed a sad state when one chooses to ignore so great a blessing; the offering of a lifeline in troublesome times! 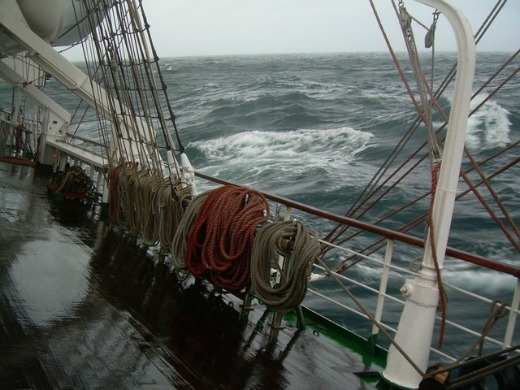 Lifeline in troublesome times is as a rope strung along a vessel's weather deck to provide a handhold in rough weather. It is there for a purpose; to ignore that purpose could very well put a person's life in jeopardy or being washed overboard in foul weather. Lifeline of faith is encouraged by the apostle Paul who pointed out that faith, and a good conscience, is necessary. He said that some having put away concerning faith had suffered shipwreck (1 Timothy 1:19). They had rejected the inner moral voice of conscience (that of God's Spirit); and strayed away from the truth, turning away from the lifeline extended to them. Lifeline in troublesome times may come in an unexpected way. Many Christians in South Korea; concerned about those in North Korea, send the Gospel message, through various means, tossing a lifeline to both believers and unbelievers alike. Christians, in many nations, often risk their own lives to bring the Word of God into the hands of those to whom it is not available because of repressive regimes. Many countries attempt to stem the flow of the Gospel message; despite the fact that God's Word reveals: This gospel of the kingdom shall be preached in all the world for a witness to all nations (Matthew 24:14). Be anxious for nothing; but in everything by prayer and supplication let your requests be made known to God. And the peace of God, which passes all understanding, shall guard your hearts and minds through Christ Jesus (Philippians 4:6-7). The peace of God is the tranquility of mind freeing the believer from fear and worry during troublesome times.